Here is a new useful map that shows a more complete picture to the users about the type of beach they are going to visit. 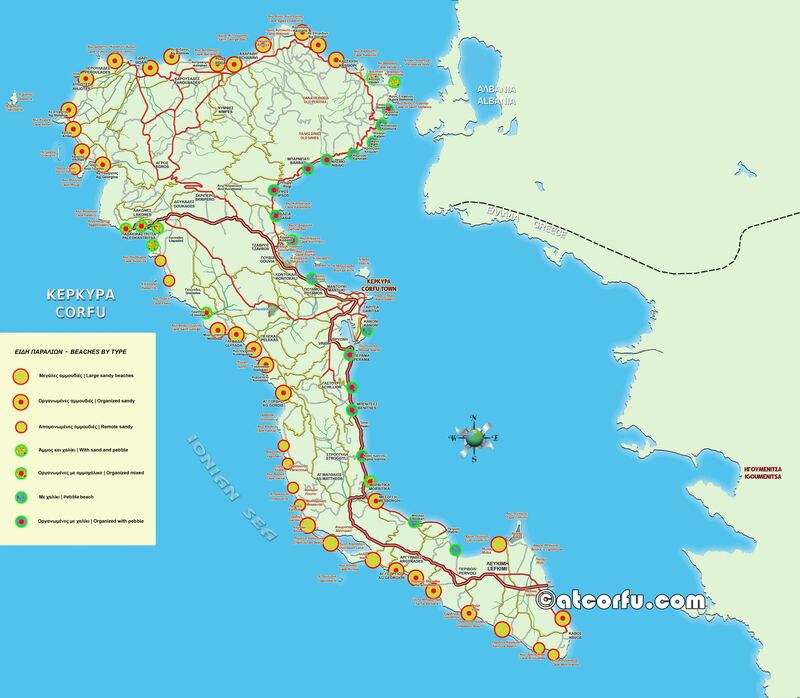 This map shows the type of each beach in Corfu, we have the large sandy beaches, the well-organized sandy beaches, the organized beaches with pebbles, the mixed with sand and pebble, the small and isolated sandy or pebble e.t.c. Just see in the memo how the different types of beaches are separated.